From alpaca’s you can meet. All Natural Colors. No Dyes or Additives in Phi Beta Paca™ Brand yarns. Paca Bright ™? 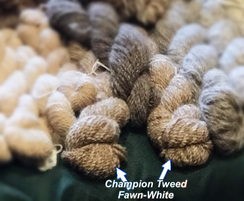 Yarns are 50% natural Phi Beta Paca™ Alpacas and 50% dyed bamboo. I created this line for those who love color, but still want to purchase their yarns from a farm they can visit where all of the alpacas are loved and named. Sunny Saturday following Black Friday. Phi Beta Paca Yarns come from alpacas raised or born at Phi Beta Paca in Taos, New Mexico. When you buy a Phi Beta Paca brand yarn, you are welcome to call and make plans to meet the alpaca who grew your yarn.